The key is to honor the platform by creating content that offers a unique, consistent and user-centric experience. 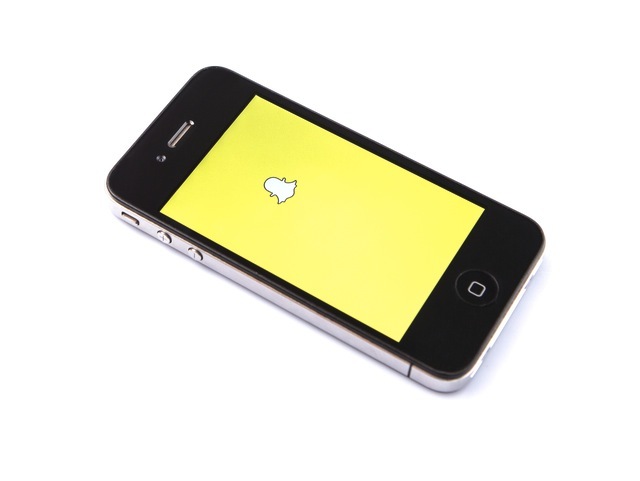 In the second half of 2015, Snapchat took steps toward becoming a legitimate advertising platform. Granted, even before Snapchat began offering paid placement options, brands were using the mobile-messaging-app-turned-content-discovery platform to reach audiences. This year, Snapchat is on the verge of going mainstream and mature even more as a marketing platform. However, according to Lynn Morton, strategy director at the R2Integrated marketing agency, thus far, publishers are the only ones that have truly gone “all in,” particularly on the Discovery channel. Snapchat has a huge userbase. The platform tends to skew toward Millennials and Gen Z area, so if those are the people you’re trying to reach and trying to get them to embrace and tell your brand’s story, then it can definitely be a very powerful platform. Indeed, Snapchat is the fastest growing social network in the history of social networks, and 63 percent of its more than 100,000 daily active users, are between the ages of 13-to-34 and a driving force behind the mobile revolution. According to R2Integrated digital marketing and analytics strategist Tim Howell, not only are users moving away from “mass public outreach channels” to more intimate forms of digital communication, marketers are following suit. This is really where Snapchat is key right now: It’s a network that is both public and private and the entire experience is handled in a mobile environment. So it is perfectly tuned to that instantaneous, moment-to-moment interaction users are really looking for. In this way, Howell said Snapchat is the biggest up-and-comer in the social media sphere right now. And while Snapchat appears to be following the trajectory of other popular social networks in terms of developing a product users love, at least for now, it is still a user dominated and controlled network. The user-centric approach is one of the biggest challenges for marketers on emerging networks like Snapchat. Because it’s made for users rather than marketers, Snapchat lacks some of the basic tools necessary for measuring ROI, according to Morton. Snapchat is built for users looking to experience and share content in a specific way, so coming to Snapchat this early on, we’re still at a point where brands are struggling to understand this new method of communication. This new method of communication is what Howell and Morton referred to as a unique blend of ephemeral and binge consumption and marketing. In other words, content has a really short shelf-life and on Snapchat users consume lots of small chunks of content over short periods of time. Brands need to be able to embrace that and create content on the fly in unique and creative ways that they may not have done before. Howell pointed out that he’s seen lots of brands falling back on the old push style of marketing by inserting commercials and “pre-roll” content into the Discovery channel. However, it’s easy for users to ignore this kind of branded experience. Instead, both Howell and Morton said it’s important for marketers to honor the way Snapchat works and do something user-centric. For brands, this means creating unique content that stands out and stories that users want to talk about. They pointed to a recent product launch from Oreo where they merged the digital campaign with a physical concept. The uniqueness of the experience resulted in the creation of user-generated content and a word-of-mouth chain of conversation across social platforms, including Snapchat. Ultimately, Howell and Morton said the keys to making the most of marketing on Snapchat are to be unique, consistent and put the user experience first. Howell noted that this approach means it might not always be appropriate to force your way into the platform using paid placement. It’s not always about (your brand). As marketers sometimes we get a little caught up in our own brand messaging and making sure we’re pushing that at users, as opposed to giving them the opportunity to have a conversation about the brand. Readers: Do you feel that Snapchat can be a great marketing tool—or is it just a plaything for Millennials? Image courtesy of MAHATHIR MOHD YASIN / Shutterstock.com.